It has been a while since I went out and bought makeup so while out the other day I decided to stop by the drugstore and see what was new. My drugstore usually takes forever to receive the new stuff so I was actually surprised to see some of the newest products that all the YouTube girls have been raving about! Check out my video to see what products I purchased and let me know if you would like to see a review on any of them! Is it me or is time going super fast? It feels like it was JUST Christmas, like yesterday. Well, the good thing about a new month is that I get to share my favorite products with you guys from the month prior. January was a month where I used a lot of products I already had and fell in love with them all over again, so if you feel like I’ve talked about these before, I probably did. What were your favorites this month? Once again a year has come and gone. I know this may be about a week late but trying to gather up your favorite products of the year can take a while. This year I had a ton of amazing products that I couldn’t stop using! I hope you guys enjoy this video, it’s a bit longer than my others but totally worth it! Let me know what your favorite products of 2014 were! We all know when this time of year comes around all of us makeup addicts get a little crazy! Thankfully, I had my head on right this time around and used my VIB discount at Sephora to only purchase items I needed or have been really wanting to try, no random items. I only purchased five things but I’m really excited about each one! ♥ Laura Mercier Smooth Finish Flawless Fluide Foundation (Praline) – My Friend Recommended this product to me. I’ve actually never tried any Laura Mercier foundations so I am super excited to try this one as I’ve heard many good things about this specific one. Plus it’s one of her newest foundations! ♥ Bobbi Brown Long Wear Gel Eyeliner (Black Ink) – I feel like all of the black gel liners that I own right now still don’t look super black on me. I wanted to try this one since I see it being used over and over on Youtube and it looks super duper black. Let’s hope I love it! ♥ Hourglass Veil Mineral Primer – This is another YouTube favorite that I’ve been dying to try. 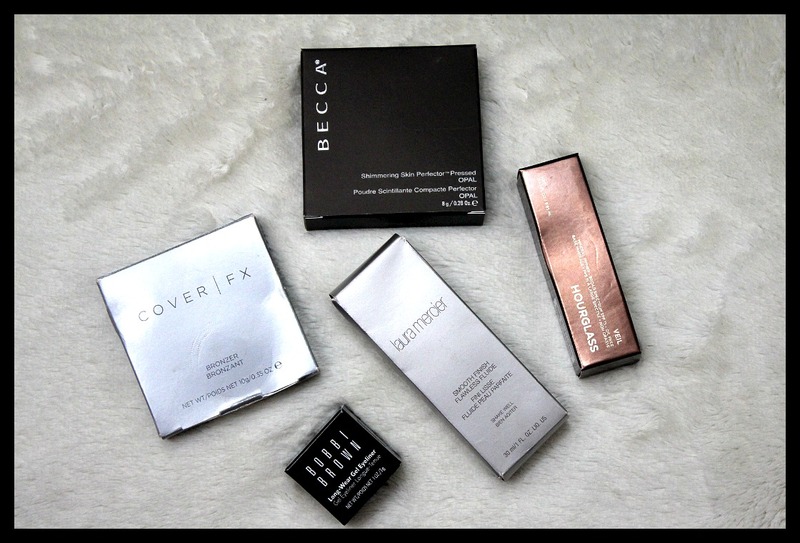 I love experimenting with new primers to see if they help my makeup last longer and minimize my pores! ♥ Becca Shimmering Skin Perfector Pressed (Opal) – This one I bought because my other one broke 😦 I couldn’t live without it and decided to take advantage of the 20%. ♥ Cover Fx Bronzer (Sunset) – I needed a new bronzer and was stuck on my NYX Matte Bronzer for the longest time so I decided to step outside of my NYX box for a little while. I purchased the darkest color of the bunch so that I can use it for contouring. Those were all of the items I purchased during the VIB sale. I’m very happy with the things I purchased and can’t wait to start using them! What did you purchase during the Sephora VIB Sale? *This is a compensated campaign in collaboration with Neutrogena and Latina Bloggers Connect. All Opinions Are My Own. Winter is right around the corner and if you live on the east coast like me, you can already feel it creeping in. I have extremely dry skin and also suffer from eczema, so the winter months are my skin’s worst enemy, especially my hands. Whenever I talk to people about moisturizing during the winter, everyone always seems to forget about their hands. I work with my hands a ton and whether I’m at my regular job or doing makeup on a client, I always want my hands to look nice and polished. I decided to share my little tips to keeping my hands polished, healthy, & of course moisturized during these cold winter months! Whenever I wash my hands I make sure it’s with warm water. Extremely hot water is not good for the skin in general and cold water is just not a choice in the winter. When outside, try to always wear gloves that keep your hands warm so that the skin doesn’t become dry and/or chapped. Exfoliate. Just like your face, lips, and any other body part, your hands need some exfoliation as well. This will get rid of any dry/rough skin and prep your hands for your hand creams. Last but not least, moisturize. I cannot express this enough. Hand lotions and creams are going to be your best friends during the winter, it is extremely important to keep your hands moisturized with lotions or creams throughout the entire day. 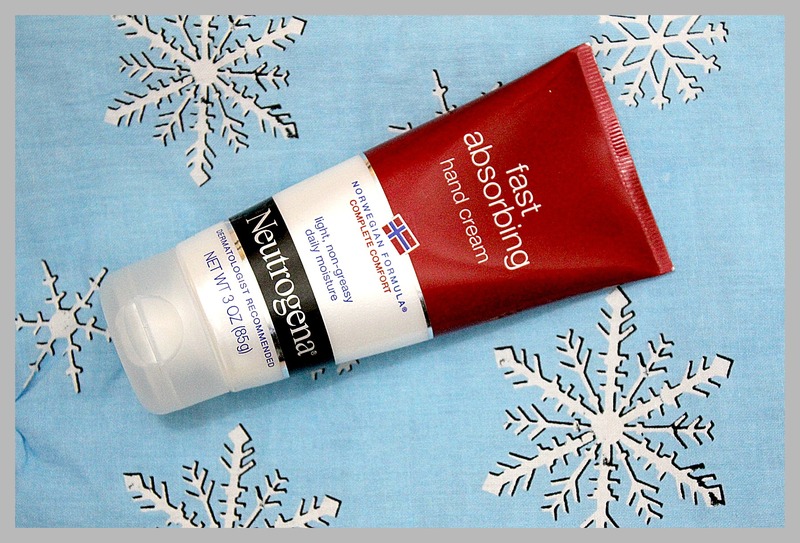 The Neutrogena Norwegian Formula Hand Cream has quickly become one of my favorite hand creams for the Winter. I have been trying this hand cream for about two weeks now and cannot stop using it. I love the fact that it’s extremely fast absorbing and is very light weight. Neutrogena developed this specific hand cream to relieve extremely dry, thirsty skin, and to protect it from further abuse. This is especially perfect for those of you who work outside in the harsh cold weather, as it heals, protects, and provides lasting relief. Eliminates 7 signs of damage – dryness, chapping, cracking, splitting of nails, dry cuticles, scaliness, roughness. I have truly been enjoying this hand cream and carry it in my purse every single day so that I can easily apply it throughout the day. 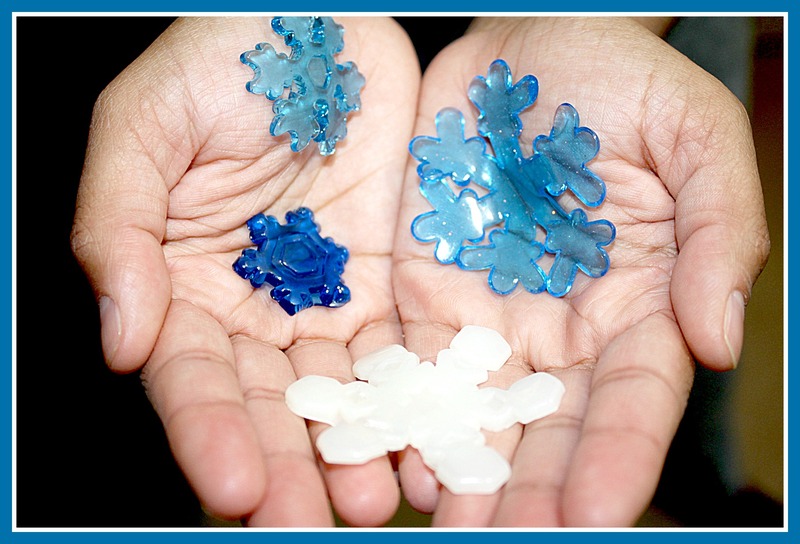 There are two different formulas, Fragrance Free & Scented. Best of all it is only $4.99 and can be purchased nationwide at any food, drug and mass merchandisers. I hope this was helpful and you guys are able to keep warm this winter and of course keep those hands nice and healthy! What are your favorite products for healthy hands? Once again, another month came and went. I am so sorry for putting this up so late, I really tried to film it before I went on vacation but unfortunately, things didn’t go as planned. I still wanted to show you guys what I was loving for the month of October so I decided to still film and upload the video! I hope you guys enjoy! What were your favorite products for October? Trying out new products is one of my favorite things to do. I love sharing my experiences with you and letting you guys know if I would repurchase the items I try. I usually try my best to use up every single product I purchase unless it gives me a skin irritation or I just really do not like it, but for the most part I will always show you guys the things I use up. I hope this helps you guys decide whether you should purchase some of these items if you’ve been thinking about them.